As anyone who experienced a broken home air conditioner in the past knows, there’s no good time to try and find a Charlotte air conditioner service company to come out! In fact, when its 85 degrees inside your house, the only thing you care about is getting the air conditioner fixed and blowing cold air as soon as possible! By the time you locate a Charlotte AC repair contractor, wait for them to get to your home to troubleshoot and diagnose the problem, quote the ac repair costs, and finally… fix your home air conditioner system, it may be several hours, or even a full day later! (tips for speedy ac service) In fact, you can almost bet that if you need central ac repair, other Charlotte area homeowners are dealing with the same problem! In this Charlotte HVAC guide, we look at the process of how to find an AC repair and service company in Charlotte, and make sure you have the information handy just in case you need air conditioner service in the near future! Following the simple tips below will help you make sure and get a quality air conditioner repair service from a qualified Charlotte contractor! Ask Your Family and Friends! Don’t settle for just the name of the company! Ask about whether the company showed up on time, how much they charged, and what the repair work was. You may find that two neighbors using the same company had completely different results from the same contractor! Its also worth asking if they have a referral program, where your friend or family member may get a small reward like a gift card, or a free service for referring you. That way you know to name drop when you are on the phone and call for AC repair! If you have spent more than 5 seconds on the Charlotte HVAC Guide, you already know we have a review section that lets users like yourself rate and review local hvac companies! Learn what others have found by using the same companies! 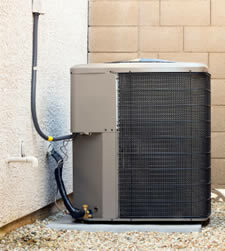 Many Charlotte air conditioning repair companies place their business stickers onto the outside condensing unit, or inside the circuit breaker panel, next to the ac system fuse. In addition, companies also have stickers on the thermostat in the hallway, making it very easy to contact them anytime there is a problem with the cooling system in the home. Our website has partnered with a company that pre-screens Charlotte ac repair contractors to be sure they are not only qualified to do the work right, but that they carry the right types of liability insurance and coverage to perform work in your home! 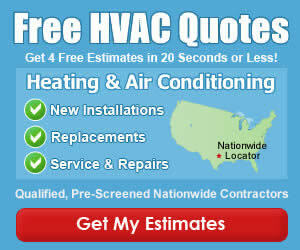 How did You Find an AC Repair Contractor? We realize everyone has their own way of finding the best contractor for their project. Join in the discussion below and tell us how you found your AC repair company in Charlotte.